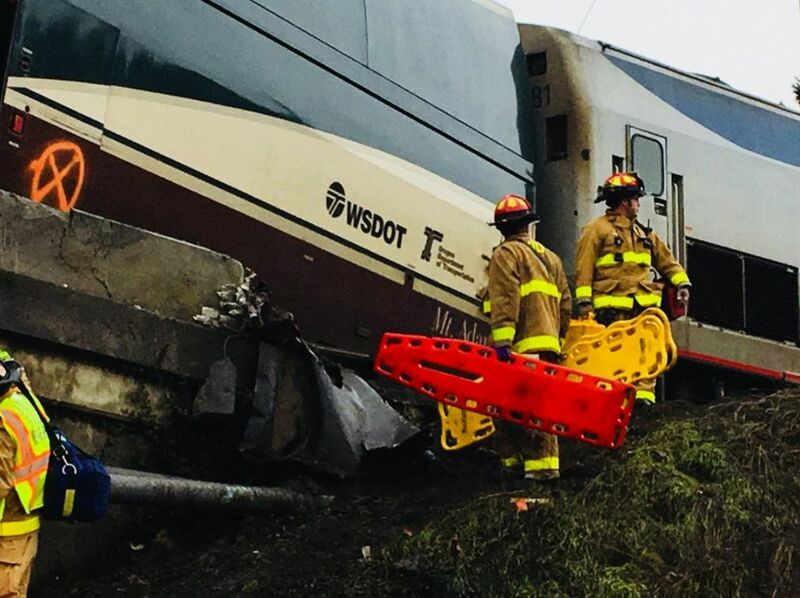 Daniel Konzelman said he helped more than a dozen people escape the wrecked train cars, and then stayed to comfort victims who were pinned inside a train car that had flipped over. 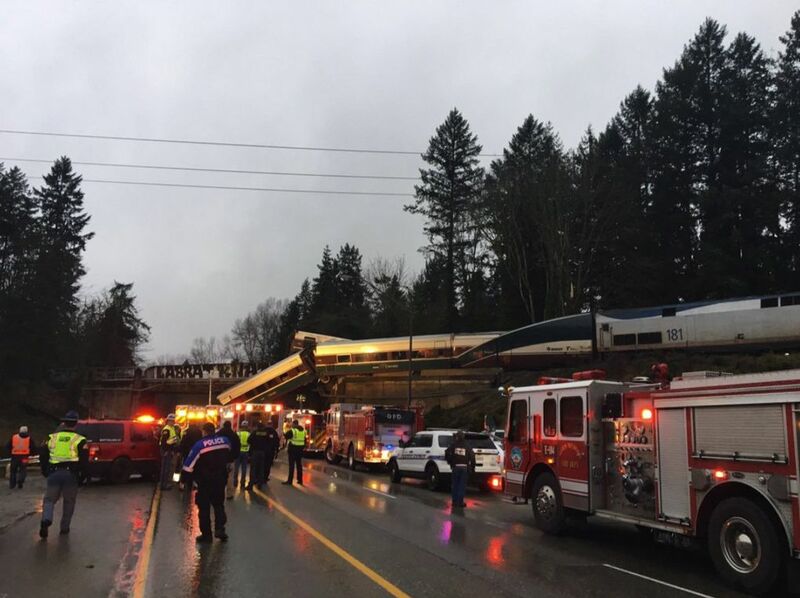 Daniel Konzelman was driving to work in Olympia with his girlfriend, Alicia Hoverson, when he noticed a train zipping by him. “I noticed it was going really fast. I’d never seen a train going that fast in the past. 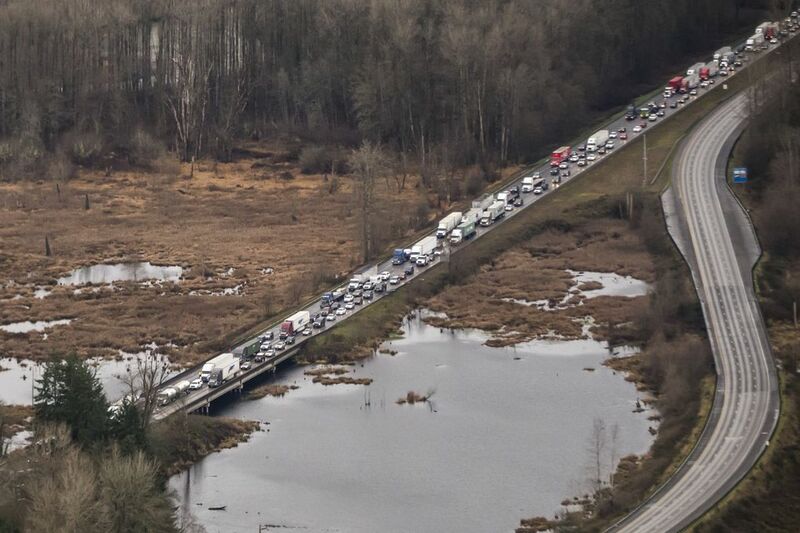 I drive that stretch every day,” he said. 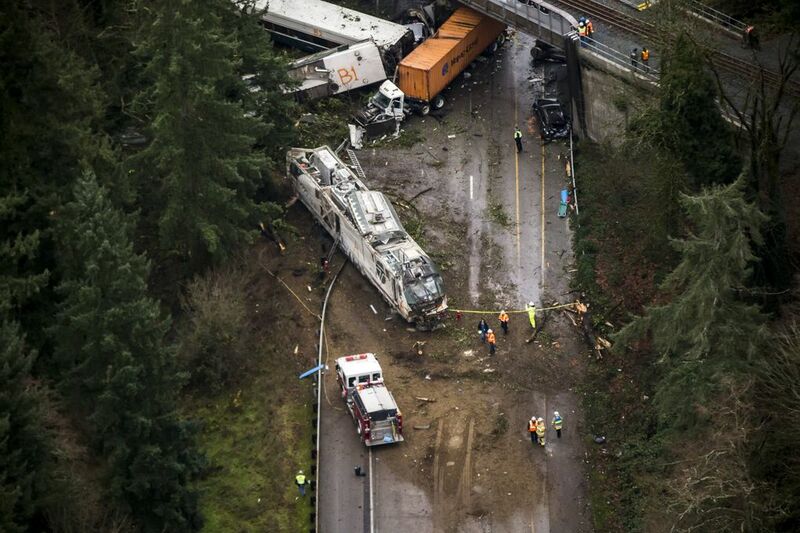 He was driving about 60 or 65 mph, he said. 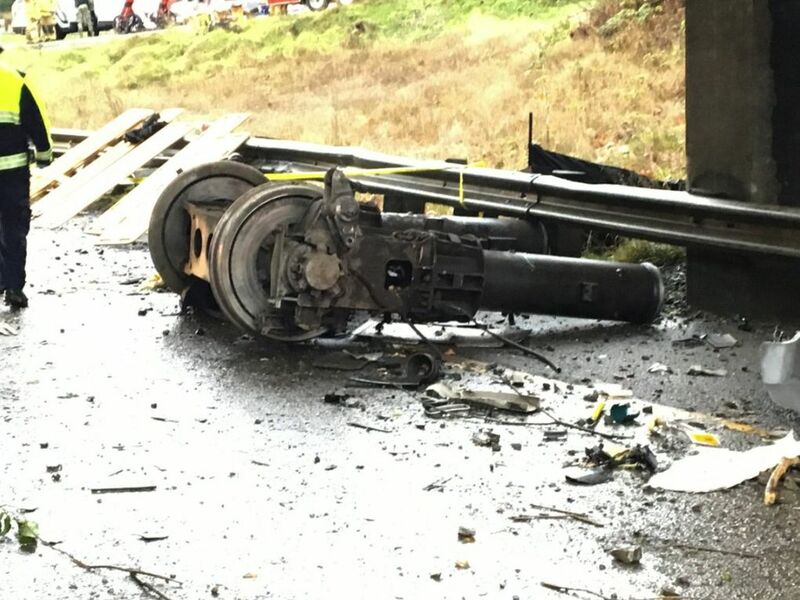 While the speed limit on the tracks is generally 79 mph, the speed limit on the curve where the derailment happened is 30 mph, Barbara LaBoe, a Washington Department of Transportation spokeswoman said. 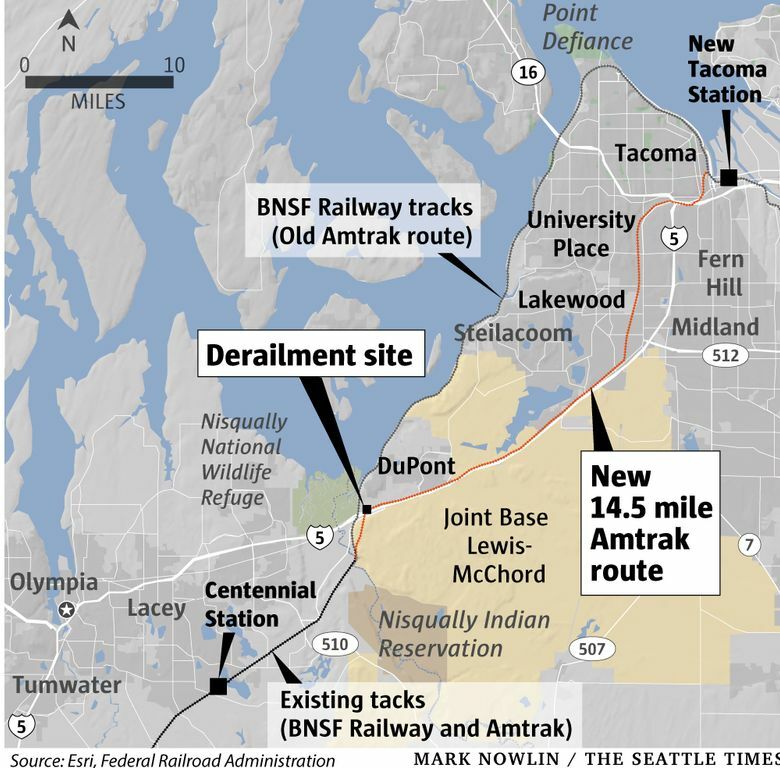 The tracks are owned by Sound Transit, which managed the recent track upgrade work under an agreement with WSDOT. 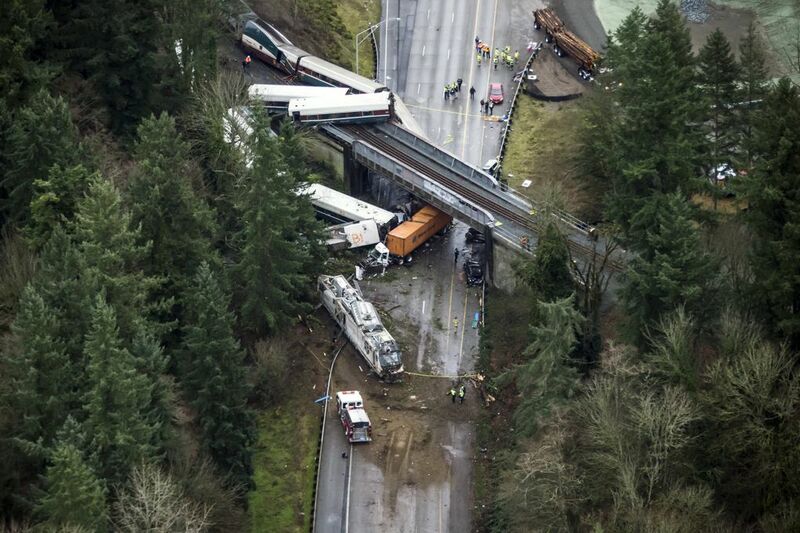 The tracks run parallel to Interstate 5 before curving over a bridge that crosses the highway. As Konzelman approached the bridge, cars began slamming on their brakes. It was just after 7:30 a.m. 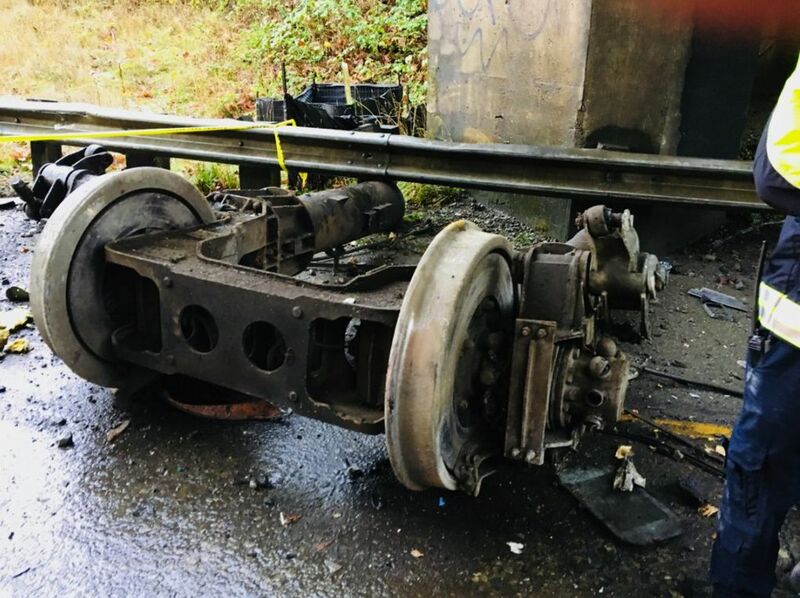 He pulled off the freeway, then ran onto the tracks leading to the rail bridge. 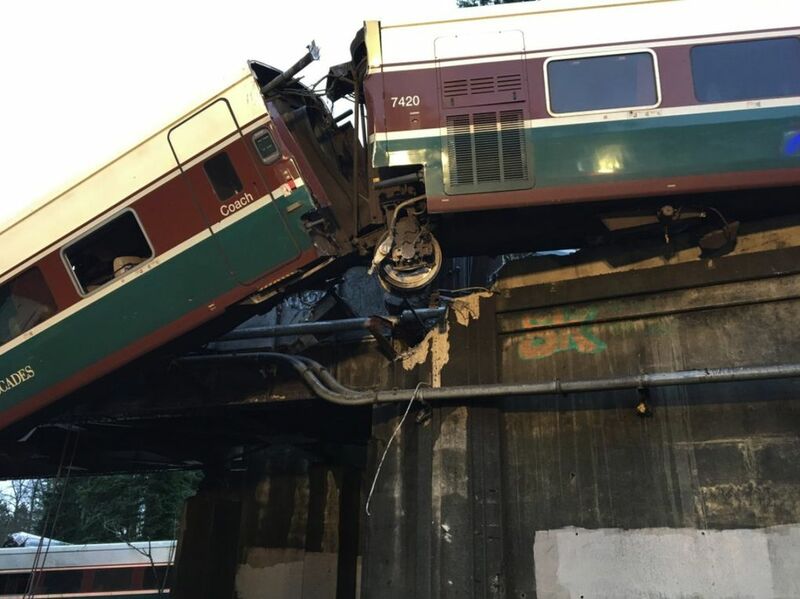 He saw about five people climbing out of a train car on the bridge. Konzelman, who is an Eagle Scout and has had some first-aid training, said he and Hoverson ran up to help them down to the freeway. 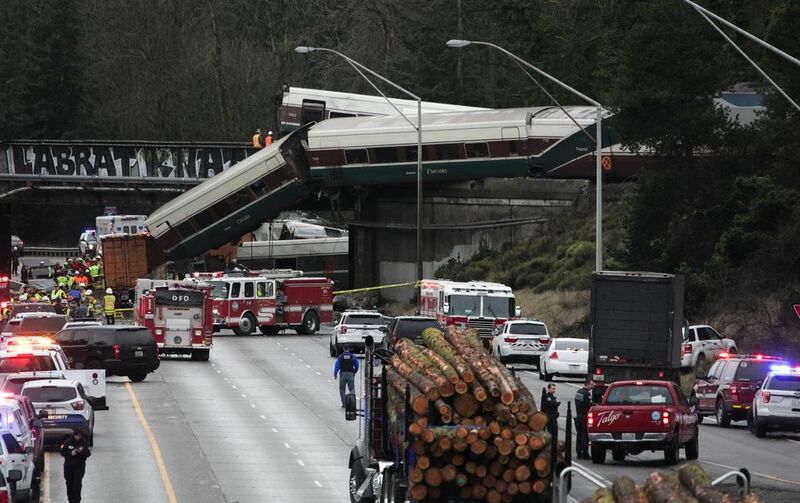 Then, he went back up and climbed through the window of one of the train cars that remained on the bridge. 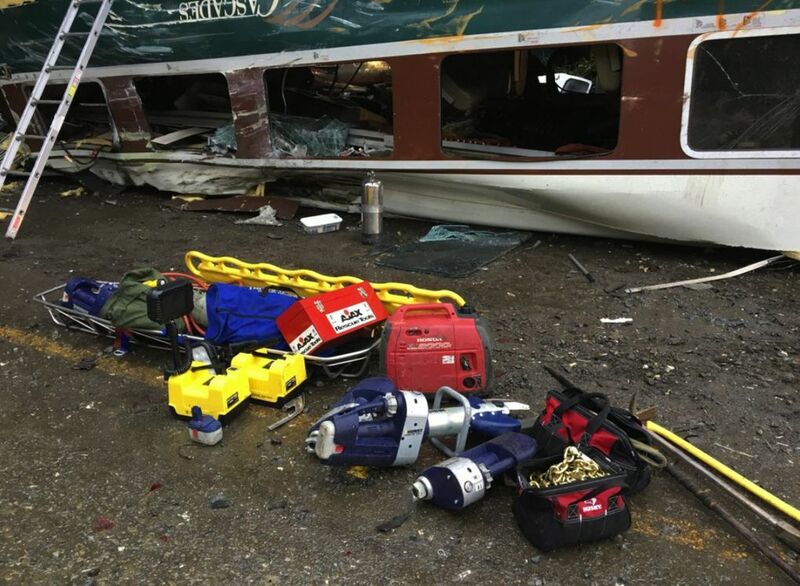 “There was a gentleman in there who couldn’t move and a lady with a head injury who was in shock,” he said. He stayed with them for a few minutes and calmed them down. 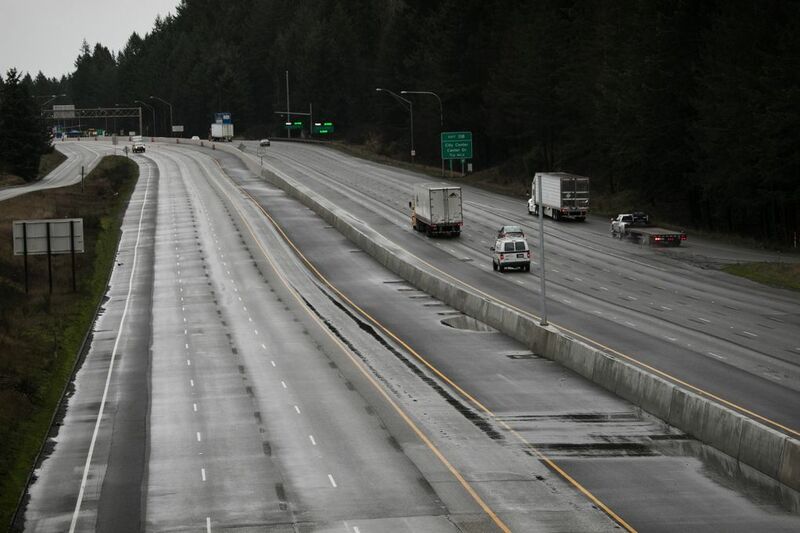 Once others were on the bridge, he ran down below to the freeway, where he met a police officer. “He had a flashlight and I had a lamp,” he said. 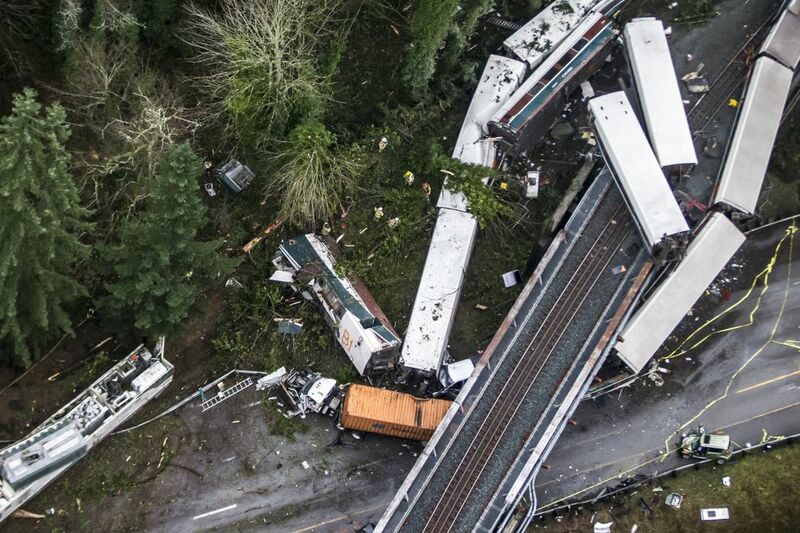 The two began to crawl through the train cars splayed out on the interstate’s surface “working them one at a time,” Konzelman said. 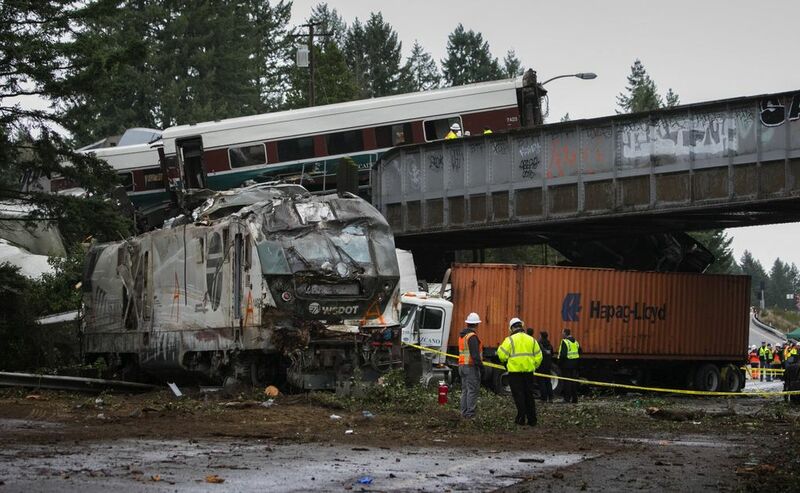 No one had been inside the train cars yet, Konzelman said. “We found one of the train attendants. He couldn’t move. 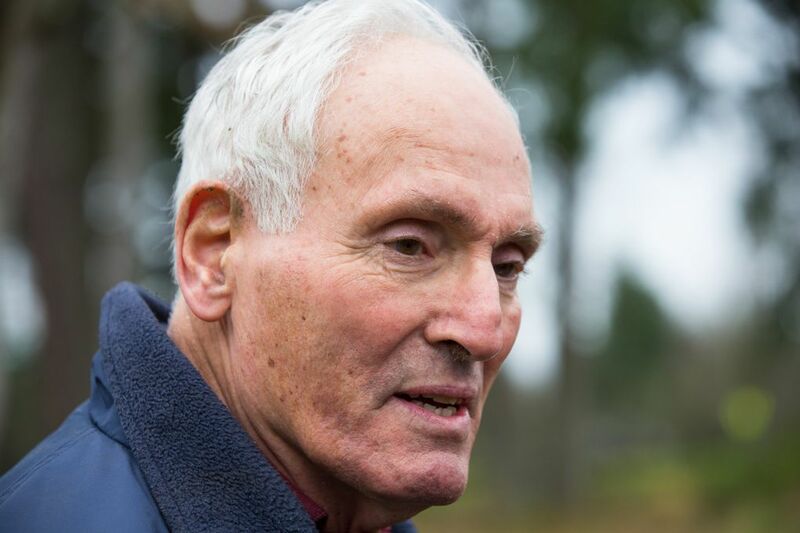 He was shivering and freezing from shock,” Konzelman said. 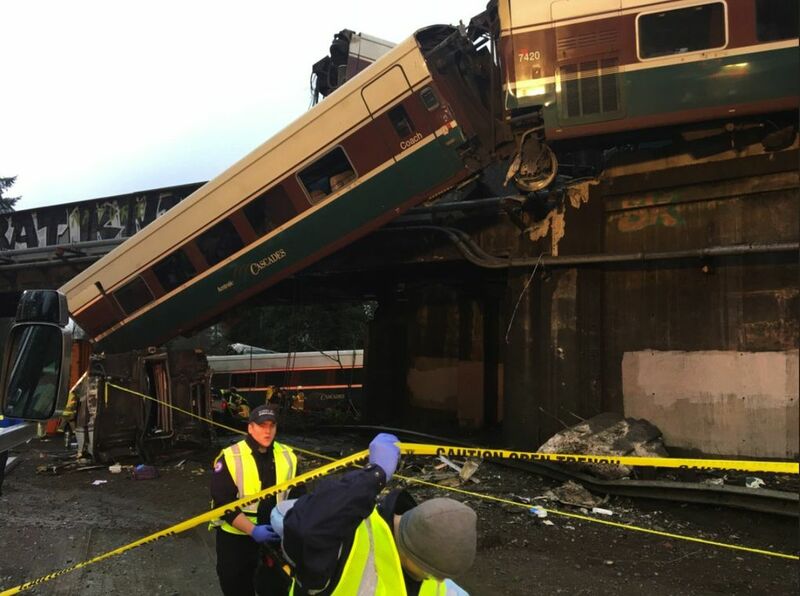 The officer and Konzelman worked their way through four train cars, and helped about 15 people get out, he said. 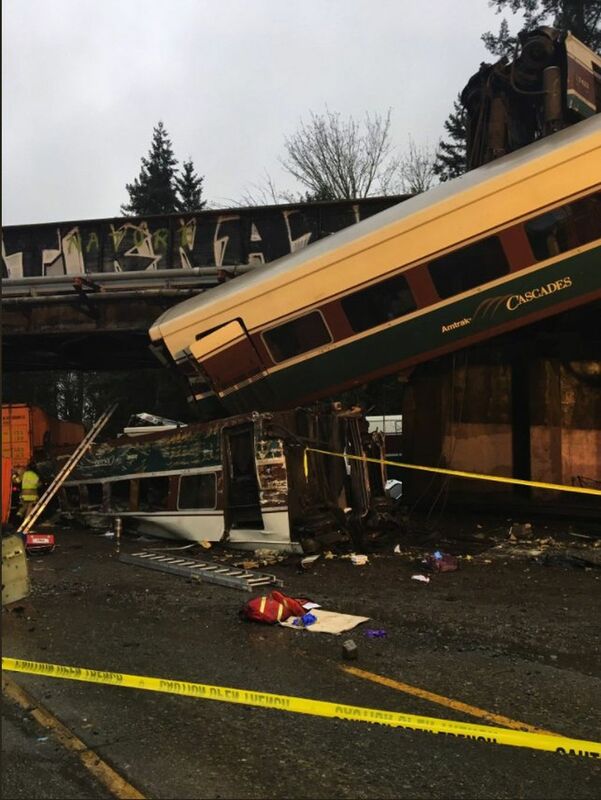 A fifth train car had flipped over. Konzelman said he and the officer punched through a window to get inside. 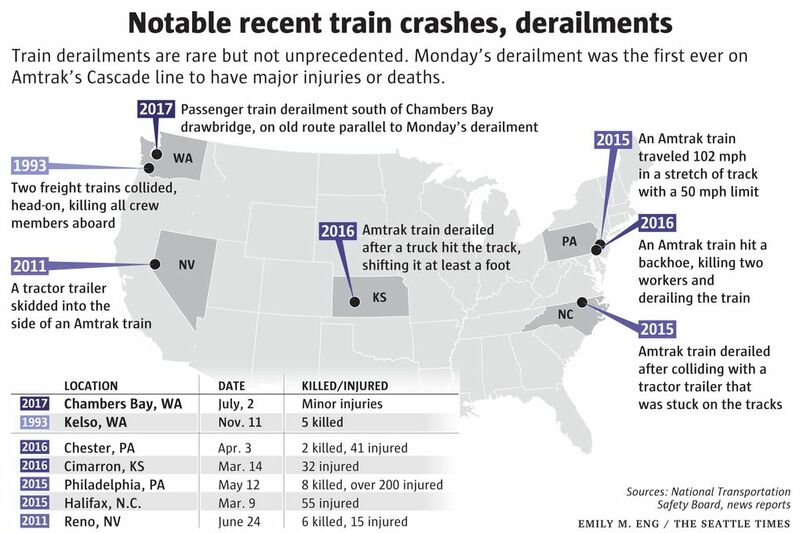 “That’s where we found four fatalities in that train car. 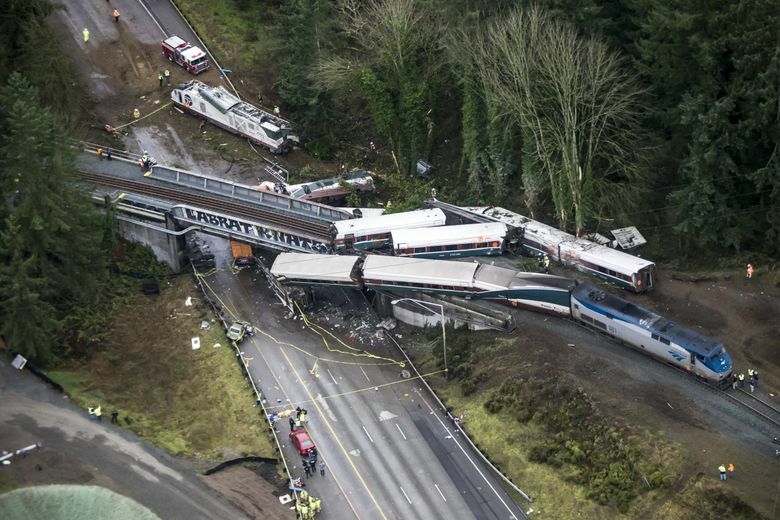 And there were three people pinned under the train,” he said. Another man was in shock, without shoes and covered in blood. “He was walking around in circles,” Konzelman said. 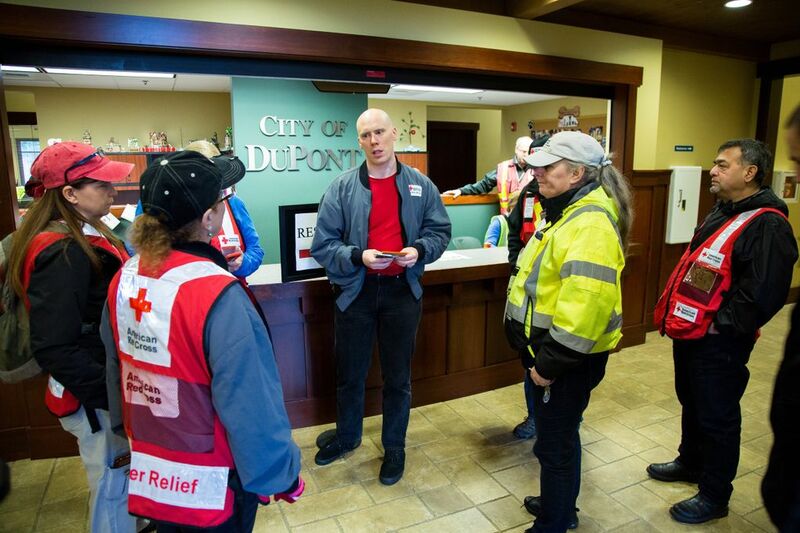 Konzelman went to attend to the people who were pinned. “There’s not a lot you can do with somebody pinned beneath the train. I talked to them and tried to to calm them down and comfort them,” he said. Konzelman said he stayed with the people pinned for about 45 minutes, and then left when emergency responders extricated them. 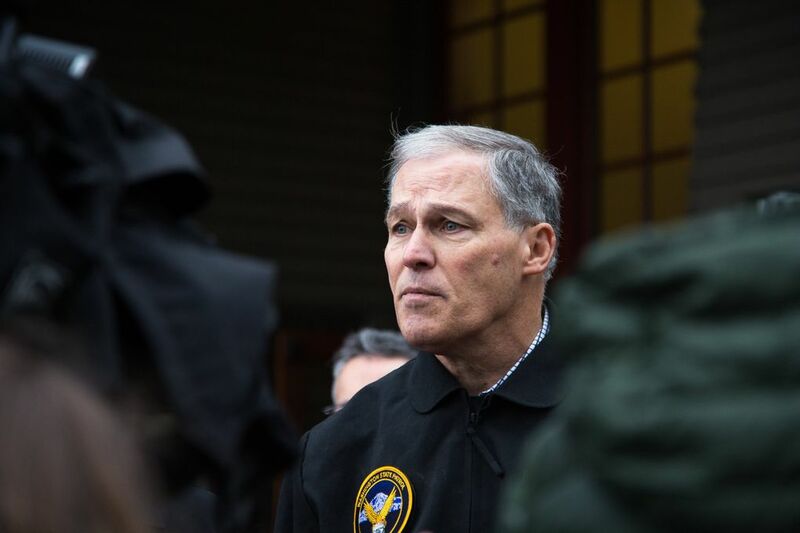 Konzelman, an accountant who grew up in Puyallup and works in Olympia, credits his experience as a Boy Scout and his faith for directing his actions. 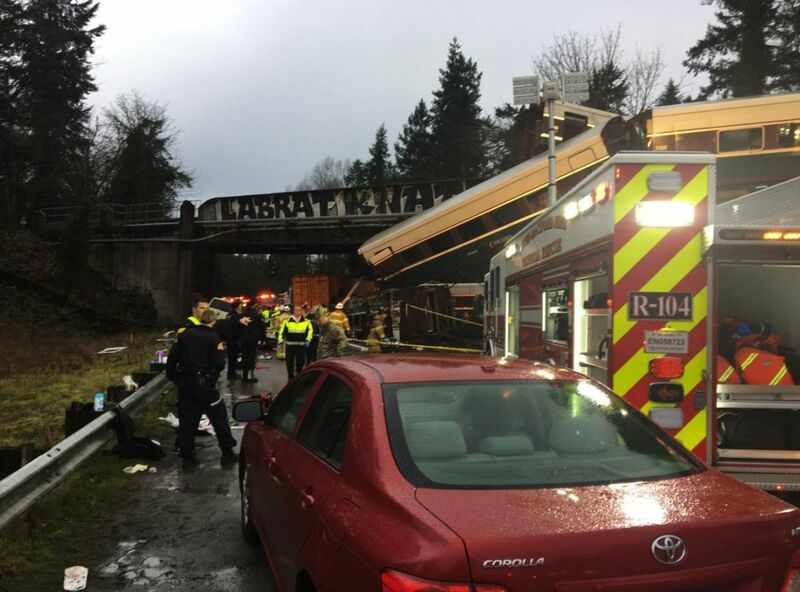 T.J. Rodriguez, chief of the Steilacoom Department of Public Safety, who was among the first police and firefighters to arrive, said he came upon a “pretty shocking” scene. 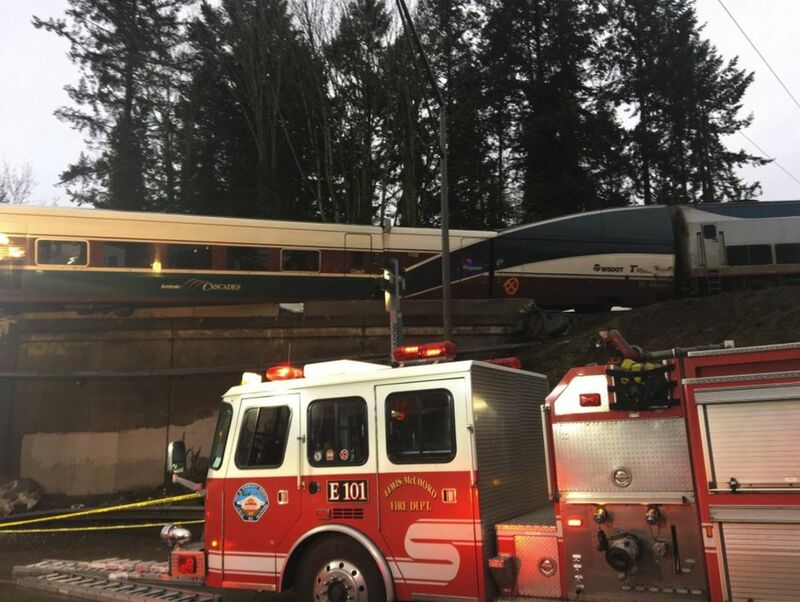 Rodriguez praised the combined work of bystanders who left their cars and emergency workers who quickly began helping people out of train cars and assisting the injured. He cited the efforts of a detective and sergeant from his department who also responded. 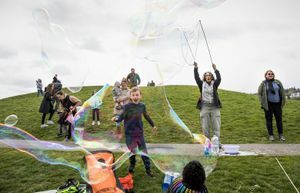 “This is not my typical Monday,” said Rodriguez, 46, who served 24 years in the Army and Army and Coast Guard reserves. He joined the Steilacoom department in 2003, working his way up the ranks. He has been chief for two years. 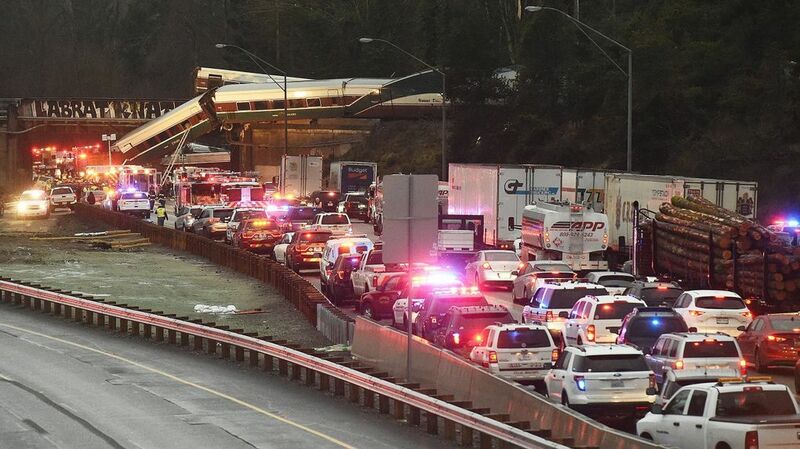 But it was the second derailment Rodriguez responded to this year. 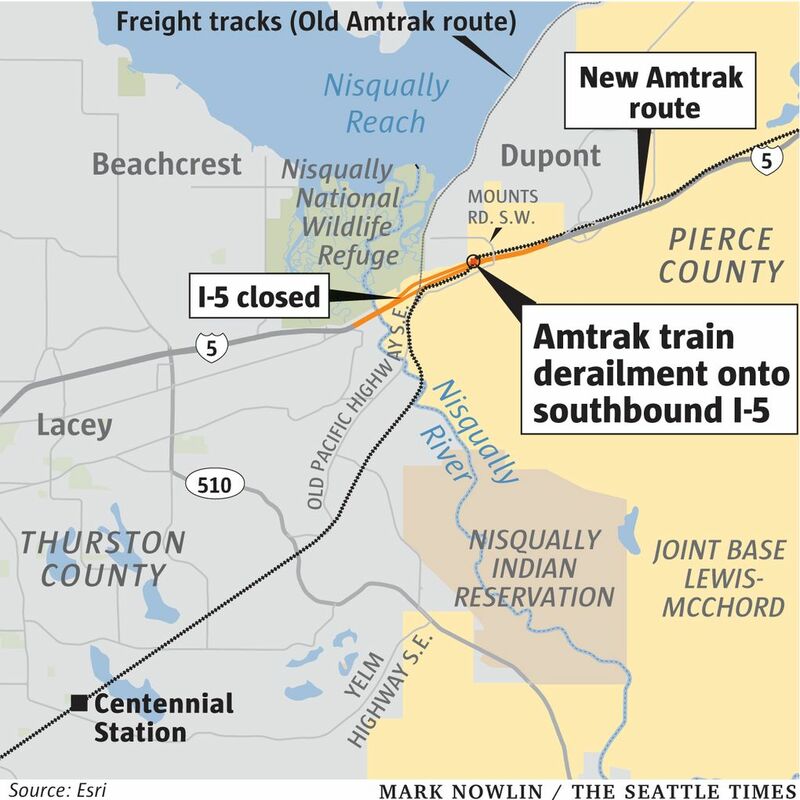 In July, an Amtrak Cascades train ran a stop signal and was deflected into gravel near Chambers Bay along the Sound, causing some minor injuries.